Fish and shellfish consumption advisories due to chemical contamination were initially issued in New Jersey in the 1980s and 1990’s. Research data from Division of Science, Research and Environmental Health (DSREH) studies revealed that unacceptable risks existed for eating certain amounts and species of fish and shellfish from selected waters in the State. Additionally, statewide advisories were issued for consumption of certain species. Current advisories are listed on DSREH’s Website www.FishSmartEatSmartNJ.org. 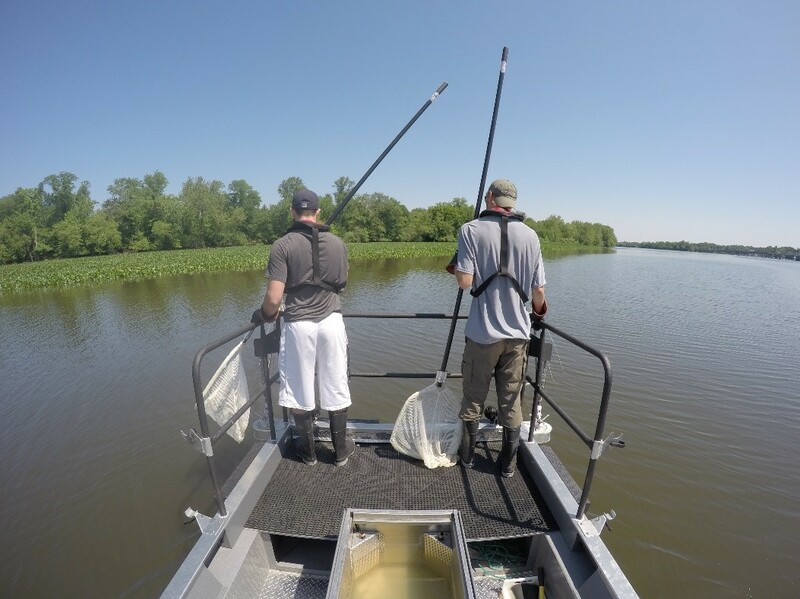 Fish tissue data from these and follow-up studies have also been used in the federal Clean Water Act-required assessment of the fish and shellfish consumption use for the State's waters. The establishment of a regular, annual freshwater fish tissue monitoring program was a key gap identified in NJ’s Long-term Monitoring and Assessment Strategy (2005-2014). 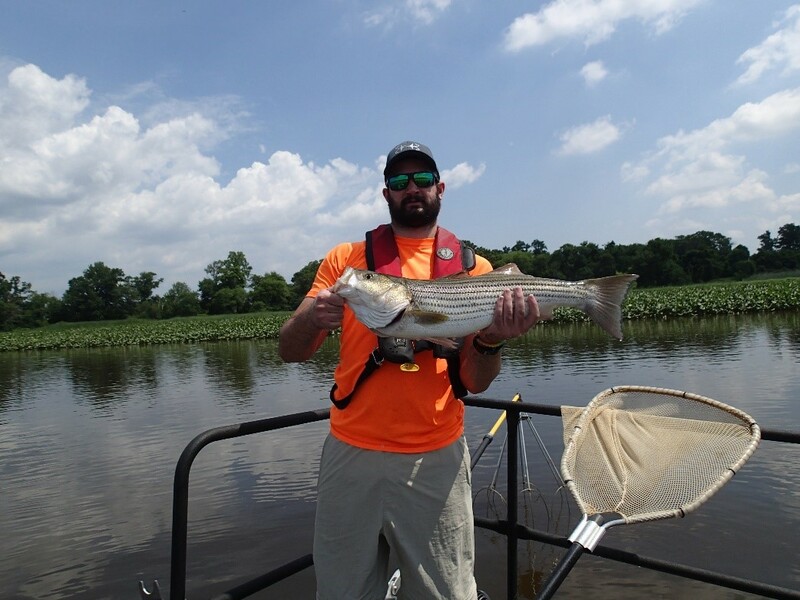 In 2014, NJ’s freshwater fish tissue work began a transition from a research program to annual monitoring, conducted by the Bureau of Freshwater & Biological Monitoring. In 2016, coastal routine tissue monitoring was started by the Division of Water Monitoring and Standards’ Bureau of Marine Water Monitoring. A copy of the 2016 Quality Assurance Project Plan (QAPP) is available from their web site. 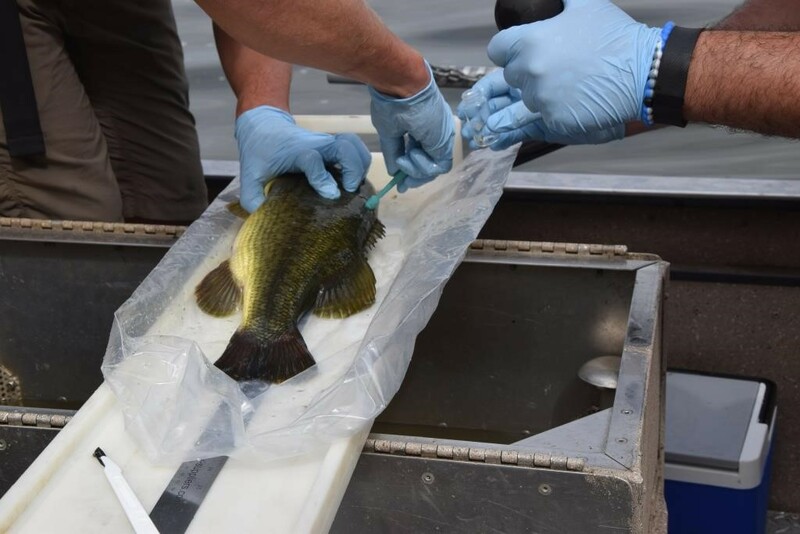 The primary objective of the annual freshwater tissue program is to collect total mercury and polychlorinated biphenyls (PCBs) data to provide current information to assess human health risks, and update/recommend fish consumption advisories. A limited number of other parameters (pesticides, polybrominated diphenyl ethers (PBDEs), and emerging contaminants) are analyzed on a waterbody and species-specific basis as prioritized by DSREH. Data from this program are also used to assess the attainment of fish consumption designated use and to assess trends in levels of contaminants in fish tissue. The freshwater Fish Tissue Monitoring Program employs two types of monitoring designs (Targeted and Probabilistic). The Targeted Regional Network follows a rotating basin approach in which waterbodies are targeted and sampled within a defined water region each year (Figure 1). New Jersey has five water regions that are monitored in the following order (Raritan (2014), Atlantic (2015), Lower Delaware (2016), Northwest (2017), and Northeast (2018)). Waterbodies are targeted for sampling based on having previous data available for trends analysis, selecting areas of concern and updating advisories. This component of the tissue monitoring program can include rivers and streams, although most waterbodies sampled are lakes and ponds. The second monitoring design is Probabilistic, meaning that sites are selected randomly, and includes only mercury sampling in publicly accessible lakes. Publicly accessible lakes were selected for the probabilistic design because they often receive more angling pressure, have greater access both to anglers and to sampling staff, and fish movement is generally limited to within each lake. A total of 50 probabilistic lakes (greater than 5 surface acres) were generated using a Generalized Random Tessellation Stratified (GRTS; https://archive.epa.gov/nheerl/arm/web/pdf/grts_ss.pdf) survey design. This network started in 2016 and is scheduled to be completed in 5 years (2020) by sampling 10 lakes annually. This network utilizes Non-Lethal Fish Tissue Plug Collection (https://www.epa.gov/sites/production/files/documents/r8-src_eh-07.pdf) methods for mercury sampling by taking a biopsy sample and then releasing the fish alive. This probabilistic monitoring design will provide a statistical statewide status estimate of total mercury concentrations in fish from public New Jersey lakes. These data can also be used over time to assess trends in mercury every 5 years. Figure 1: NJDEP-BFBM targeted monitoring by rotating basin. If you are interested in more information about the Freshwater Fish Tissue Monitoring Program, please contact Brian Henning at 609-292-0427.